Our God is a unique, one and only God. There is nothing and no one like Him in all the universe. It only makes sense that everything He creates is also unique and one-of-a-kind. No two people are exactly alike. Even identical twins have uniquely different fingerprints. 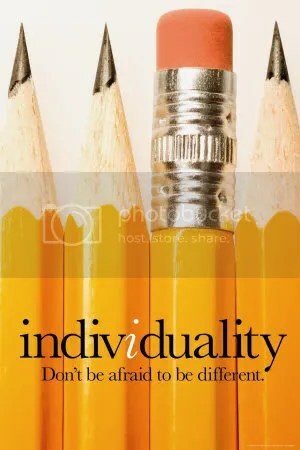 We are each an original—even you! The amazing thing about being uniquely created is that you have “good works” that only you can do. Every day you get opportunities to make a difference by doing something specially designed for you. No one else can combine your experiences, your abilities, and your relationships to follow God’s leading and make a difference in your world like only you can. This verse is from a letter that Paul sent to Timothy, a young leader in the early church who was facing a challenging situation. But God had uniquely designed Timothy to be in just this situation at just this time. The way God used Timothy’s individuality to make a difference shows us how He can use us, too. So, we’re going to spend all month learning from Timothy’s example. In Week One, we learn that Timothy’s family is unique, giving Timothy the ability to relate to different people. When Paul’s missionary journey brings him to Timothy’s hometown (Acts 14:1-23), Timothy decides to connect his story to God’s story. Our Bottom Line is: Jesus wants to use your story to make a big difference. In Week Two, we see that the believers in Timothy’s hometown recognized his God-given talent of teaching (1 Timothy 4:14). But Timothy didn’t just learn that he was a good teacher and pat himself on the back. He put his giftedness to good work and used the talents God had given him by joining Paul’s next missionary journey (Acts 16:1-2).Our Bottom Line is: When you discover your gifts, you can make a difference. In Week Three, we learn that Paul and Timothy had traveled to Corinth and started a church of believers. But they later received word that there was trouble in the Corinthian church, so Paul sent Timothy to the Corinthians and he also gave them the message of 1 Corinthians 12:12-21, 25-27. The same message applies to us today. But each of us is gifted in different ways, and that’s a good thing. Our Bottom Line is:When we use our gifts together, we make a greater difference. In Week Four, Paul and Timothy have traveled to Ephesus and taught the church there. When Paul is called to Macedonia, he leaves Timothy in charge. But the church in Ephesus has false teachers, so Timothy has a tough job ahead of him. Paul encourages Timothy with a letter that contains our Bible story this week: 1 Timothy 4:12-16. Our Bottom Line is: You can make a difference right now. When we allow God to combine our unique story with our talents and our relationship with others, we can make a big difference in our world. The first step is discovering who you are meant to be—your own, individual place in the world. This week our Bible story is a universal principle about one of the smallest parts of our bodies that tends to get us in big trouble— the tongue! (James 3:9-12) Respect has a lot to do with what we say—and how we say it—to others. For more motivation on why it matters, our Bottom Line reminds us that when you respect others with your words, you show respect to God. This week, take some time as a family to talk about ways your words can show respect to others. Preschool-Kindergarten, Sunday Sept 30: Babies are Born! Key Point of Passage: God is faithful to answer prayers with His promises in miraculous ways! Memory Verse: Abram believed the Lord (Genesis 15:6). 1) From our story last week, do you remember what God promised to Abraham and Sarah? 2) Abraham and Isaac were very old when they had their children – even older than most of your grandparents! At what age do people usually have babies: your parents’ age or your grandparents’? 3) Do you think it was hard for Abraham to believe God would still give him children when he was 99 years old? 4) But did Abraham still believe that God could do miracles like giving babies to very old people? 5) Did God do what he promised to do? Key Point of Passage: God promised to give Abram many children, and Abram believed God. 1) At the beginning of this story, did Abram have any children? 2) How many children did God promise Abram would eventually have? 3) Do you think that would be easy to believe or hard to believe? 4) Did Abram believe God? 5) Did Abram’s belief in God make God happy? 6) Do you think God is happy when we believe in Him too? Our Bible story looks at the time when David chose to spare Saul’s life even though Saul was trying to kill him (1 Samuel 24). Others would have said that David had every right to kill Saul and even that God had given him this opportunity. But our Bottom Line is: Respect those in charge, even if they don’t deserve it. Elementary Sneak Preview- Sunday Sept 16- Who’s The Boss? This week, our Bible story is an important principle dealing with authority. Whether we agree or even like them, God puts authorities in our life to protect us and help us grow and learn. So our Bottom Line is about realizing that we can respect God by respecting the people He’s put in charge. This week, take some time as a family to talk about how you can respect authorities in your life. Key Point of Passage: God called Abram to leave his country and home to move to a new land, and God promised to bless him. 1) What did God ask Abram to do? 2) Have you ever had to move to a new home or a new town? Or have you ever had a friend move away? Was it hard? 3) Do you think it was hard for Abram too? 4) Do you think it helped Abram to know that God would go with him and bless him when he went? 5) Does God go with us wherever we go too?